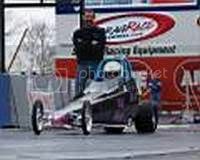 Jr. Dragster Plus • View topic - Mycron3 not reading RPM's on a LO206? Mycron3 not reading RPM's on a LO206? 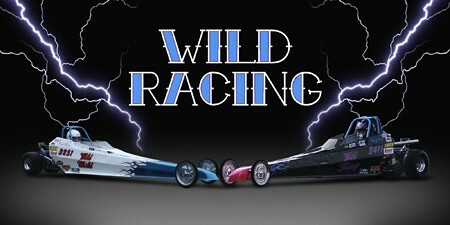 I'm putting a car together for my daughter to race in june. She has aged out of 11.90 class but this particular race will be 11.90. We were running a mycron 4 on her LO206 last year with no problems what so ever. Well by back up tach is a mycron 3. I started it up yesterday with the 3 on it and RPMs do not register. Has anyone had issues like this out of a 3? Re: Mycron3 not reading RPM's on a LO206? How do you have it wired for the pickup? On the LO206 try taking the pickup wire and just wrap it around the plug wire and not actually wired to it. I have it wired to the coil side of kill switch. I actually tried two different Mycron 3's and did the same thing. I even stripped the jacket off the wire at the Mycron thinking that the insulation was keeping it from reading. teamvortec wrote: How do you have it wired for the pickup? On the LO206 try taking the pickup wire and just wrap it around the plug wire and not actually wired to it. Try this. About 3 or 4 wraps should be all it takes to pick up the signal. I tried it this weekend. Wrapping around the plug wire did the trick. Thanks Guys!! I just found this thread as I was searching for the same problem. I'm going to try that out in the morning and I'll report back.